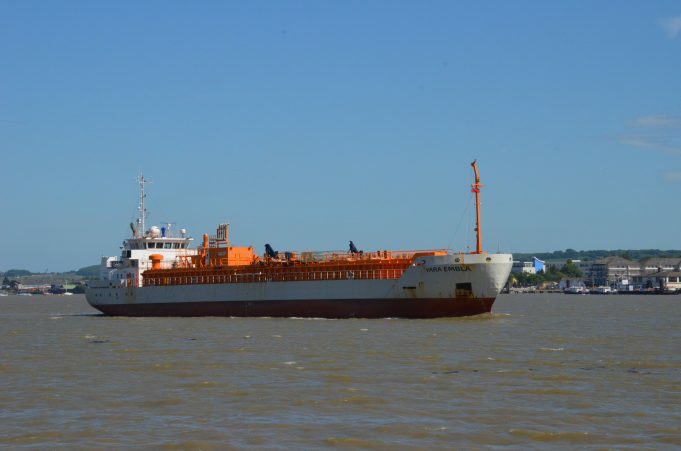 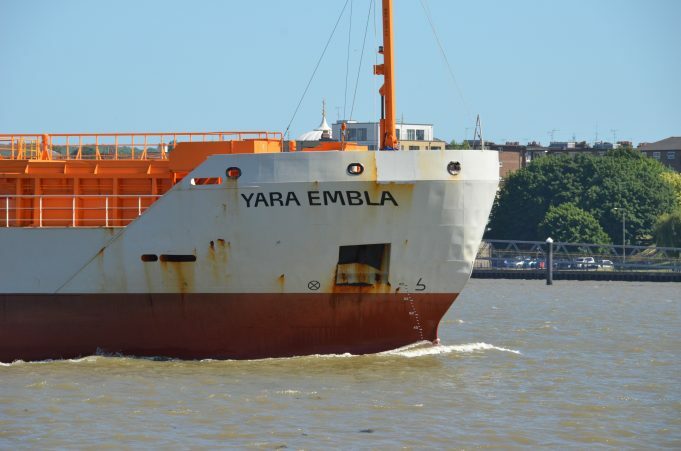 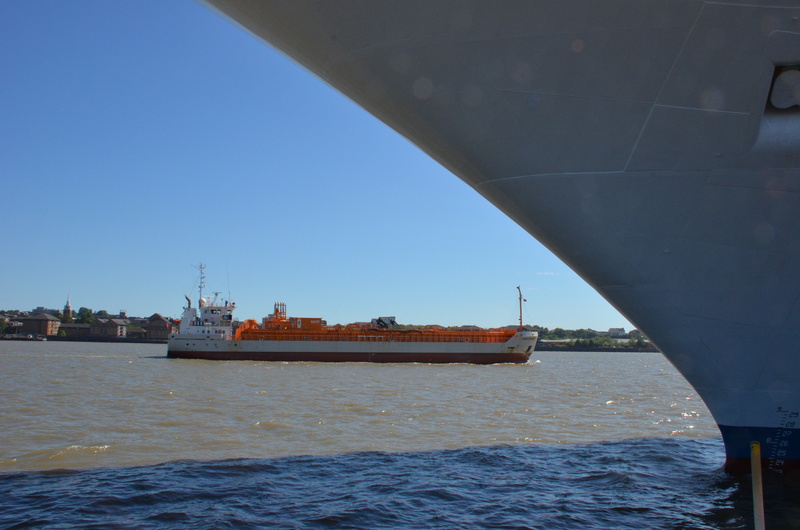 The LPG tanker YARA EMBLA passing the landing stage on 4th June 2015. See was built in 2005 at 2,506 grt. 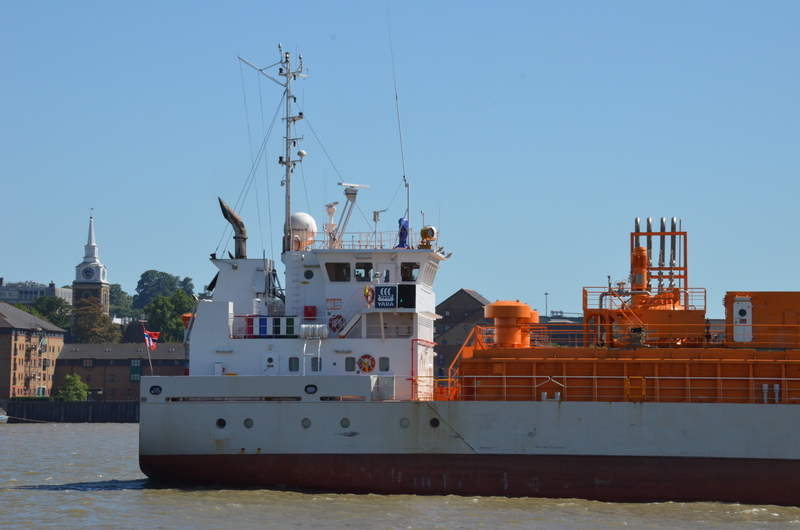 Her previous names were NORRSKEN and FLINTERBELT.